The Library in the Wilderness program provides access to essential hiking supplies to have a safe, fun, and educational outdoor experience as well as workshops on hiking, tracking, local flora and fauna, and land stewardship. 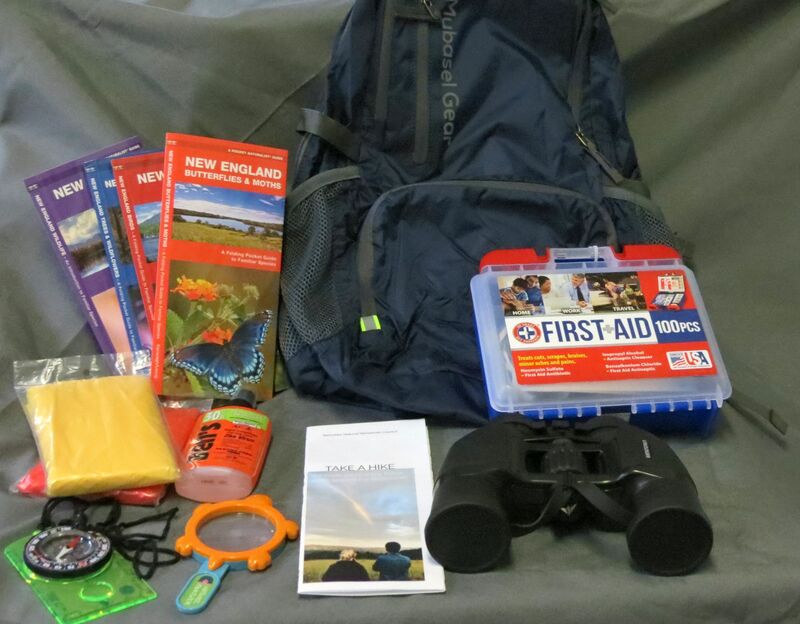 Community members, with a library card in good standing, can check out hiking backpacks from the Berkshire Athenaeum, fully equipped with field guides, BNRC trail guides, a basic first-aid kit, a compass, binoculars, a magnifying glass, bug spray, two ponchos, and an observational journal. The backpacks are available for a 1-week checkout and reservations are required. Berkshire Natural Resources Council (BNRC), in partnership with the Berkshire Athenaeum, Pittsfield’s Public Library, initiated this program in 2018.